Financial Analysts are employed by mutual and personal funds, hedge funds, banks, securities firms and these analysts help the companies or other clients make investment decisions. Financial analytics are employed in commercial lending perform “balance sheet analysis” and test the audited financial statements. 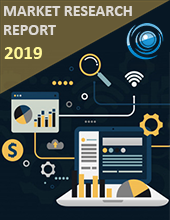 Healthcare Financial Analytics Market is segmented on the basis of the application in which clinical analytics segment holds the largest share in the market and on the basis of Deployment, On-Premise segment holds the largest share in the market due to its multi-vendor framework. North America contributes the largest size in the Healthcare Financial Analytics Market due to the increasing technological innovations and the Asia Pacific along with Europe is expected to hold the largest growth in the market. The major factors that drive the growth of the market are the integration of big data in healthcare, increasing awareness of digital technologies, increasing investments in the technology and also from the public and private organizations, expansion of healthcare IT and the growing need for the effective financial management system in order to increase the claim conversion. Healthcare Financial Analytics Market is segmented on the basis of Component, Deployment, and Type. The component is further segmented into services, hardware, and software. Deployment is further segmented into Web-based, Cloud-based and on-premise. Type is further segmented into revenue cycle management, risk management analytics and claim analytics. Healthcare Financial Analytics Market holds the largest share in the healthcare analytics market and also the strongest emerging applications. Asia Pacific is expected to have the largest growth in the market due to the increasing expansion of healthcare IT. McKesson Corporation has InterQual technology that is used by the many hospitals in order to automate the financial transactions and Optum provides an Optum Healthcare Technology that provides the healthcare experience. 12.6 Allscripts Healthcare Solutions Inc.